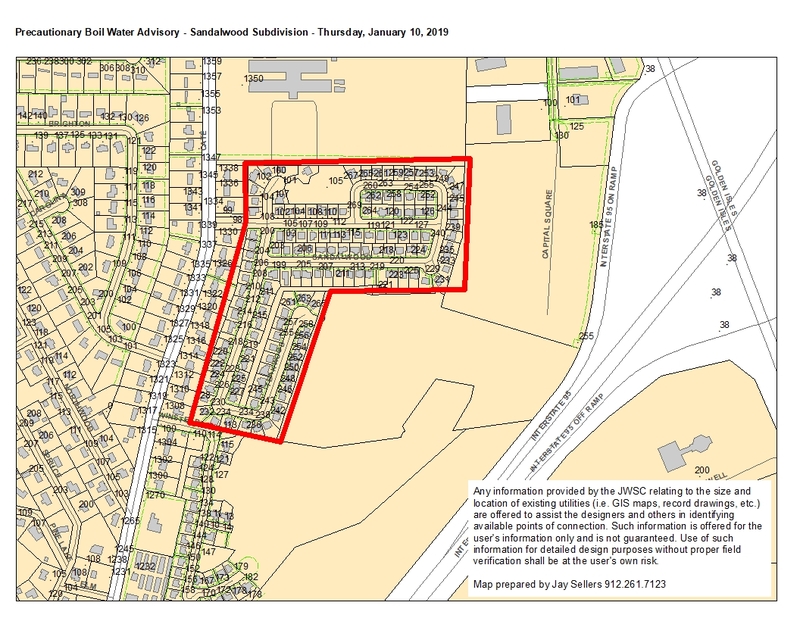 The Brunswick water system lost pressure to residences in the Sandalwood Subdivision on Wednesday, January 30, 2019 due to scheduled maintenance needed to replace failed water isolation valves. Service has been restored, but another two days of repairs have been scheduled for January 31st and February 1st. Following the completion of repairs Friday afternoon, BGJWSC lab personnel will collect water samples for testing. This testing, which will take between 18 and 24 hours, should be completed the afternoon of Saturday, February 2, 2019, at which time an all-clear message will be posted. This entry was posted in Boil Water Advisory on January 30, 2019 by Joey Nesbitt.